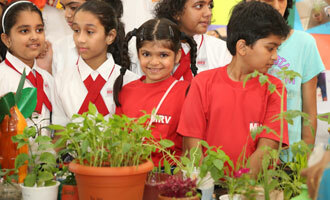 Green Mela at MRV is an annual feature. It’s a event where all the parents come together to organize this a grand event which caters to families, showcasing how going green is the new trend. Cambridge International Exams, UK, conducted a teacher’s training workshop on September 22, 2014 for all the teachers from prestigious schools on teaching and assessing skills in Math, Science and English at MET Rishikul Vidyalaya, Bandra.